Survey crews are continuing to map property boundaries and utilities and carry out wetland delineation for King County’s sewer upgrade project in Redmond. 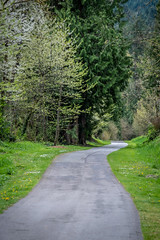 During the week of May 23, crews are expected to be working along West Lake Sammamish Parkway, the Sammamish River Trail, and by Marymoor. You can expect to see surveyors in bright safety gear with tripods working in the right-of-way.